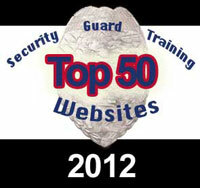 Congratulations to the Top 50 Security Guard Training Sites of 2012. Every effort was made to make this a fair and unbiased selection, based on a set of criteria determined even before nominations were accepted. 42,000+ subscribers to various martial arts newsletters were queried for security guard information website nominations. 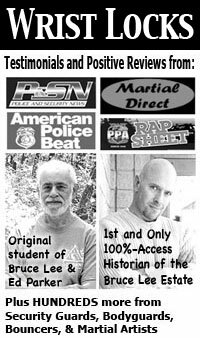 Research was also conducted by the Martial Arts Mastery staff to glean even more nominations of information-rich sites. The initial list of 400+ nominations was trimmed down to a healthy 250. From there, the serious selection process began. Over a month later, and the list now rested at 125 worthwhile sites. At this point, professional assistance was employed, to further narrow the list to the top 50. This list was turned back to Keith Pascal and a few other martial artists to be arranged into the final order. Then the category-winner selection was made. 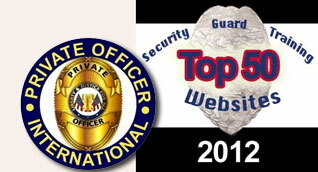 Take a look at this unbiased list of security guard training sites. We tried to include mega sites, mini websites, college programs, state sites, international sites, certification courses, job searches, and more. Our focus was on finding quality information in the security guard industry. Be sure to grab the badge and link (below the #1 website on the last page) to share on your site. Send others to this helpful resource. You’ll find useful tips and articles, though not as many as #7 on this list. This site’s real benefit is the scope of its job info. If you’re at the job-search stage, then this site is a must…. There were a bunch of sites that had small sets of articles with little else. We chose this one as the best of the group. The articles are easy to find (links on the left site), and they are good starting points on anything you’d like to research to become a security officer…. Although specific to obtaining a guardcard in California, this site has information about the various types of industry jobs available. You get information on the various skills which can be learned by enrolling in the specific courses. The courses are broken down into modules. This site offers everything from online training to a form to fill out for employment. It also features Hapkido training for those needing some martial-arts instruction. 10 lessons — You'll see the value of completely mastering one lock before moving on. Security guard tips, must knows for many jobs. FREE ebooklet that might keep you from being sued. preview of a hot selling book. The 2 worst mistakes if you are working a night job.